Not many people can claim kinship with a piece of land, but Mayslake steward Conrad Fialkowski may be one of those people. 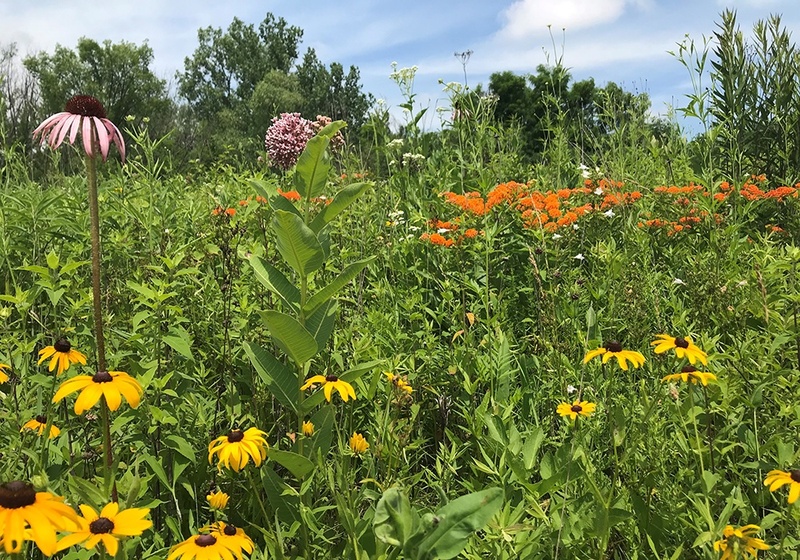 He has been working tirelessly for more than 30 years to restore the woodland and prairie landscape to Mayslake Forest Preserve, since before the land was owned by the Forest Preserve District of DuPage County. 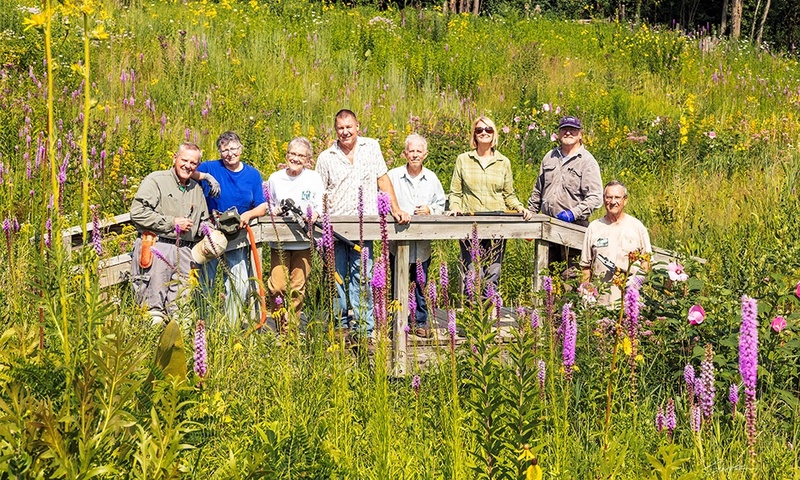 As of June 26, 2018, Fialkowski and 541 volunteers have put in more than 20,000 hours of work to restore the Mayslake woodland and prairie. Fialkowski tends to his masterpiece. 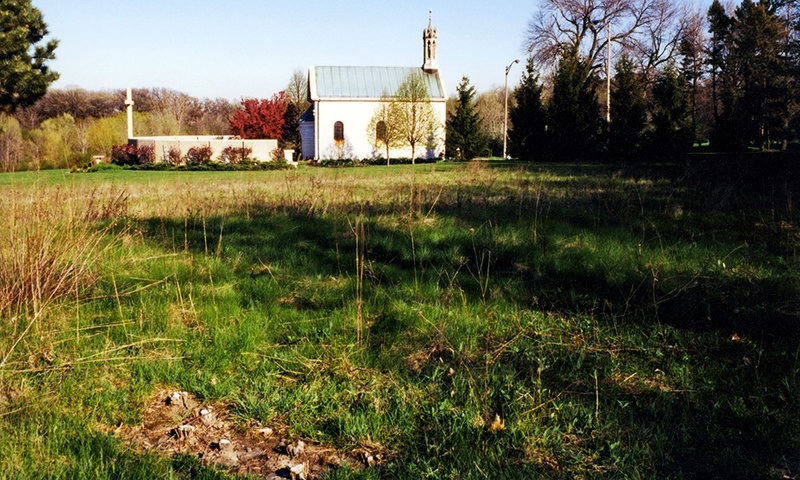 Fialkowski’s restoration work at Mayslake started in 1985 with a 15- by 20-foot plot of prairie he began working on with the support of Franciscan priest Fr. Jonathan Foster, whom he met on a birding trip to Indiana Dunes in 1977. Foster had one of the priests use a tractor to disc the land around the prairie so Fialkowski could reseed it with native plants. 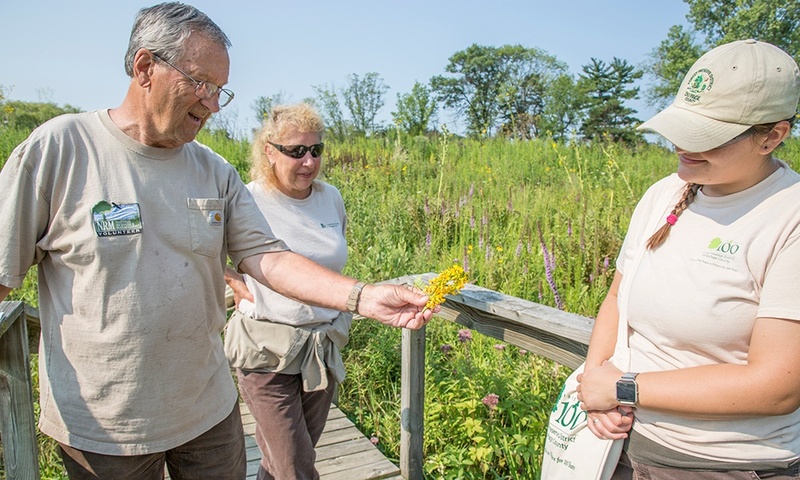 For many years, he organized volunteer workdays to help collect seeds, remove invasive species and replant native plant seeds. Fialkowski’s Mayslake stewardship group is comprised of many longtime volunteers, including co-steward Jacqui Gleason (volunteer since Oct. 2005), Bill Johnson (Oct. 2009), Bob Rieser (Nov. 2009), Nancy Bingham (Nov. 2010), Judy Montgomery (July 2011), Dennis Soszynski (Feb. 2012) and John Seale (Dec. 2016). They meet weekly at Mayslake to do their restoration work. “This restoration has not been a one-man effort,” Fialkowski said. “Our current and regular group of volunteers and all those volunteers before them have made steady progress possible. Of special note is the work of co-steward Jacqui Gleason. Her tireless efforts out in the field between workdays have broadened the area we’ve restored. 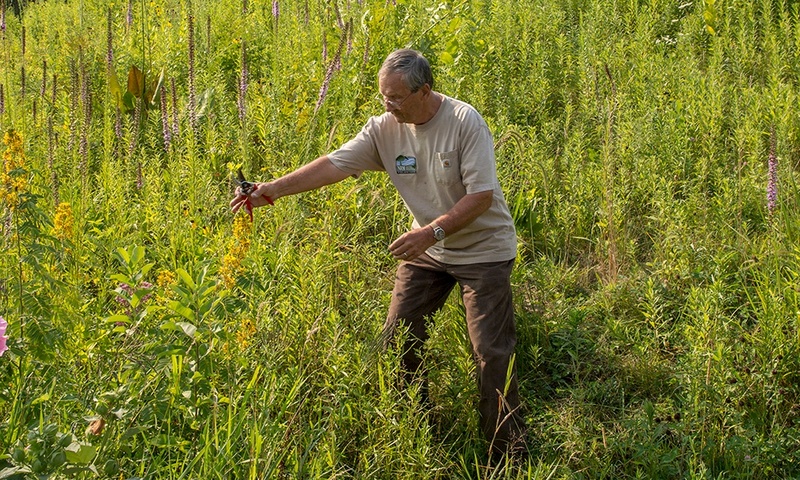 In addition to his volunteer work at Mayslake, Fialkowski has worked on restoring Spears Woods in Willow Springs in Cook County since 1990, where he has also been a bird monitor for 27 years. The Fialkowskis have been married for 56 years and have two grown children and four grandchildren. 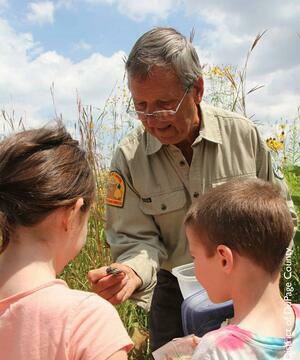 When he’s not restoring prairies and woodlands, Fialkowski enjoys bird and wildlife watching, fishing, camping, painting and drawing. He said there are many opportunities to connect to nature. 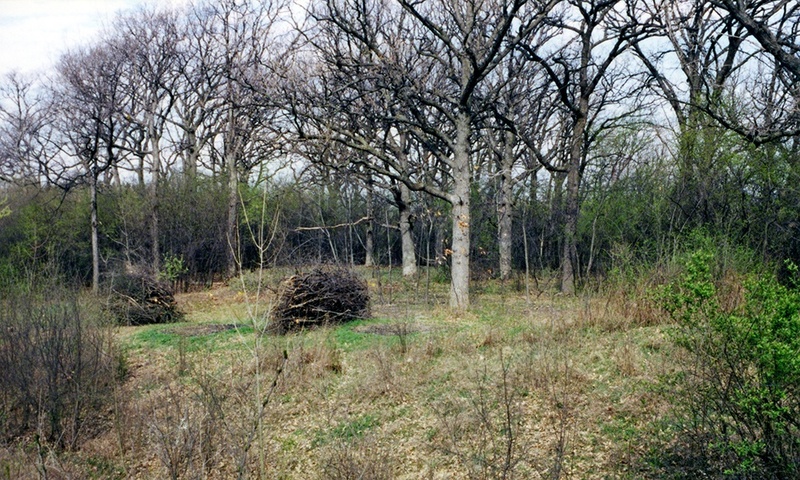 Mayslake prairie before restoration (above and below). 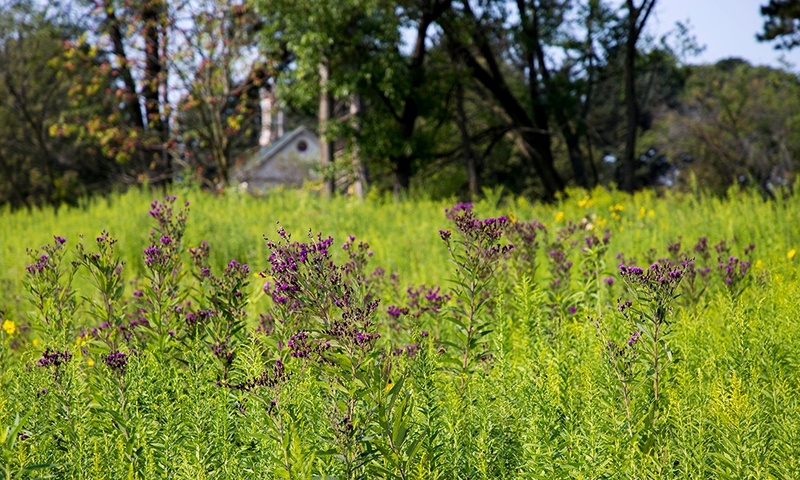 Watch this video about restoration at Mayslake Forest Preserve.